What are the characteristics of a Rishi? 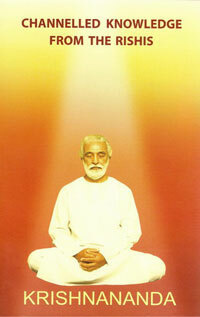 A Rishi is a radiant being who can receive and transmit knowledge and energies as Light. A Rishi is a person who has not only completed his Sadhana at this level but also at several other levels unknown to us. The main concern of the Rishis is the welfare of the Universe. Why do they do Tapas? To gather Energies and Knowledge for the welfare of the Universe. How do they guide humanity? They have a network of assistant Rishis and human beings down here. They monitor our Sadhana through them and pass on the necessary knowledge and energies through their human channels. (They guide the humanity to transit from one Age to another Age). Why is contacting the Rishis so difficult? We do not have enough Love for them and we have not developed a relationship with them. We have not allowed the Love which we have suppressed for a long time to come out. Why is it necessary to contact the Light Age Masters? We need to contact them to receive direct guidance, which is essential to sail through current difficult time of pralaya. What are the requirements to become a Rishis' worker? Total surrender, obedience and faith, readiness to give up anything; broad universal outlook; non-aggression at any level; the capacity to accommodate others' shortcomings; non-judging; acceptance of the truths of life and living. What is the difference between a yogi and a Rishi? A Yogi works for his own growth and a Rishi works for the welfare of the entire Creation. Rishis have access to the Source of all Knowledge and Powers.